This is the second part of my interview with filmmaker and teacher Jonathan Hourigan who worked as an assistant on Robert Bresson’s L’argent. Part one was published earlier this week. MGS: How has Bresson impacted you specifically as a writer/director? What lessons did you learn from watching him work that you were able to apply to your own filmmaking endeavors? JH: These are difficult questions. By the time I arrived in Paris in the summer of 1982 I had seen all of the films and had read Notes on the Cinematographer several times. I was aware that Bresson was unlike other filmmakers but as I said earlier, being involved in L’argent was my first experience of the film industry, so I had no context in which to assess the experience. In addition to which, on arrival in Paris I spoke virtually no French. The crew, French and Italians (in a year when the Italians won the football World Cup), were generally very kind to me. And Bresson, in particular, spoke to me often, invariably in fluent English and he was always courteous and solicitous about my well-being, even as he worked to the limit on his film. He also had a very keen sense of humour. And as my French improved, I was increasingly given little jobs to do on set. I would also often travel in Bresson’s car to watch rushes in the evening. So, to address your second question first, I did have the privilege of watching Bresson and his crew work at very close quarters. It’s hard to say what specific lessons I learned. Or rather, what specific lessons I was aware of having learned at that time. I was certainly immersed in the experience but I think I’m both a late starter and a slow learner – not a great combination – and I’m not sure that I derived specific lessons that I could have articulated at that time. My own first film, Jade, made a few years later, was indebted – too much so, in truth – to the surface of Bresson’s style but entirely missed any deeper correlations. I sent it to Bresson and when we next met I think he described it, with affection, as a “sweet comedy.” Suffice it to say, that had not been my intention! Now, almost 30 years on, the impact and lessons are perhaps a little clearer. At one level, that making films is complex and challenging and remains so today, even as technological advances have made the technical processes simpler, more accessible and cheaper. That one has to be committed, precise and demanding, principally, of oneself, although without being precious or lacking humour. That one needs to discover one’s authentic territory and to dig deep; an argument for depth rather than breadth, perhaps. Also, Bresson constantly reminds us, through his work and in Notes on the Cinematographer, of the huge possibilities that still remain largely dormant in this extraordinary medium that he had so thoroughly mastered. Another lesson one might take from Bresson is to learn from other arts and artists; Notes on the Cinematographer is full of references and allusions to painting, music and literature, as well as to philosophy and history. It’s also worth pointing out that Bresson was by no means dismissive of theatre, simply of its spurious dominance of Cinema which, as filmed theatre, had lost both the defining immediacy and expressiveness of theatre and any aesthetic autonomy. At another level, to attend to the entirety of an image, not in order to make it ‘painterly’ or self-consciously beautiful but to ensure that it is appropriate to one’s purposes. And similarly, to attend to the relationship between sound and image, about which Bresson was always so attentive and skillful. Indeed, from Bresson one might learn the necessity for attentiveness and commitment throughout the process. There is, after all, such a high risk of dissipation when making a film because of both the involvement of other interests and individuals and the extended and complex nature of film production. And alongside this sharp, disciplined creative focus, one might also learn humility and the necessity to live life well. MGS: You told me that you continue to work on preserving Bresson’s legacy? What exactly does this entail? JH: In the years since Bresson’s death in 1999 there has, I think, been an encouraging and gratifying upsurge of interest in Bresson’s films. This has coincided with the emergence of both the internet and digital technologies, ensuring the greater availability of material and information. I have simply assisted Madame Bresson in responding to interest and enquiries and in keeping an eye on what is placed in the public domain in relation to her late husband and his oeuvre, especially in the English language. There have also been various retrospectives and for example, I was very pleased to be invited to speak about L’argent during the BFI’s most recent Bresson retrospective. It’s also been a great pleasure to meet – either electronically or in person – so many people interested in Bresson’s films, yourself included, of course, Michael. MGS: I will be offering extra credit to my students if they attend any of the films in the upcoming Bresson retrospective here in Chicago. Is there a single movie you would recommend for young people to see to introduce them to Robert Bresson? Is there any advice you would give in terms of what to look out for or what to take away from the experience? JH: Can I hedge my bets? I’m not, by inclination, prescriptive. So, first, I think it would be hard for your students to go wrong if they followed my own path and saw Au Hasard Balthazar as an introduction. It’s lyrical, beautiful and also demanding. The film sits at the centre of Bresson’s oeuvre and also close to the fulcrum of the debate – involving Schrader and others – as to the pinnacle and trajectory of Bresson’s career. On the other hand, L’argent, his final film, seems to me to be Bresson’s late, great masterpiece and perhaps the summation of his oeuvre. 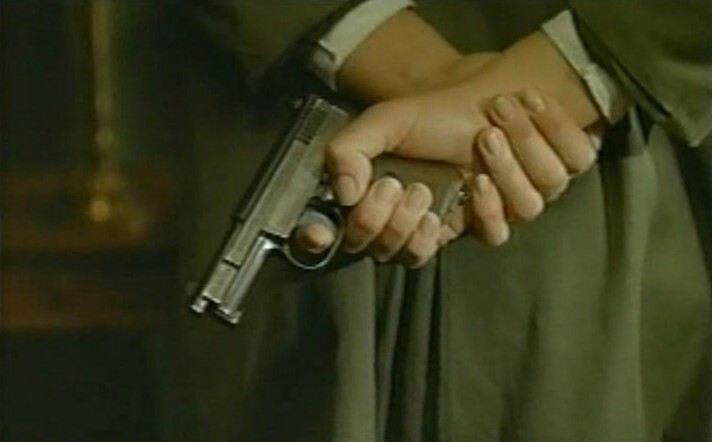 But equally, one cannot overlook Pickpocket, in many ways the quintessential Bresson film. Meanwhile, Un condamné à mort s’est échappé, whilst giving away its outcome in the title, is perhaps Bresson’s most conventionally exciting and accessible film – which is not to damn it with faint praise because it more than holds its own amongst Bresson’s films. I’ve already expressed my own deep and abiding affection for Une Femme Douce, Bresson’s first film in colour and to some extent a ‘lost film’ as it’s still not available on DVD, whilst both Lancelot du Lac and Les anges du péché, the latter being his feature film debut, might also offer wonderful introductions to the oeuvre. I will, finally, briefly make a case for Le Diable Probablement, Bresson’s prescient penultimate film, sometimes overlooked and certainly grueling and demanding though it is. It occurs to me that, with young people today ever more sensitive to ecological issues, this might be a great film for your students to rediscover and as such, an interesting place to start. Now that I’ve mentioned so many of the films, from what is anyway a fairly slender oeuvre, it might seem as though I’m rather damning the remaining films. That’s certainly not my intention. What can I say? It would certainly be great if, between them, your students collectively managed to see all of the films. OK, gun to my head – just one film? L’argent. And to look out for, or to take away? Well, this may be a little pedagogically unsound but I wouldn’t ‘look out’ for anything first time around. Simply experience. And to ‘take away’? Whatever immediate feelings one has from experiencing these films. Nothing intellectual. Simply experiential and emotional. Bresson is so sui generis that it’s almost impossible for an attentive viewer not to struck by some unique aspect of the films. A more structured engagement with the films might commence with subsequent viewings and the great thing about Bresson’s films is that they certainly repay multiple viewings. And then one might begin to think about, amongst many other issues, Bresson’s extraordinary use of sound, the ubiquity of doors, the nature of Bresson’s ‘models’, the preponderance of narratives drawn from existing sources as opposed to original material, or the ways in which such powerful and authentic emotion is provoked within and by these apparently austere films. Bresson and the films are sometimes characterised as austere, or studied. By contrast, I would argue that they – Bresson, his working methods and the films – are passionate, emotional, truthful at some deep level and full of spontaneity and inspiration. And in any study of Bresson’s films – and as I’ve already mentioned above – I would also strongly recommend a careful reading of Bresson’s Notes on the Cinematographer. It is a little difficult to get hold of now but it is a brilliant summation of Bresson’s hopes, intentions and working methods. It illuminates, I think, why Bresson is considered to be one of the greatest filmmakers of the twentieth century – perhaps the single greatest – and why he has been such an influence on and inspiration to so many other major filmmakers. For those of you about to encounter Bresson and his films for the first time, I am more than just a little jealous. I am certain that it will be memorable. I hope it will also be an inspiring and transformative experience. 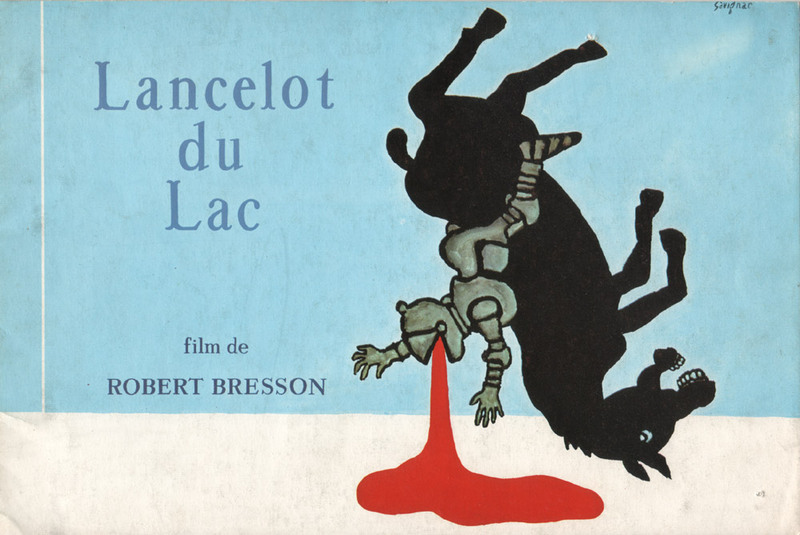 From January 21st through February 29th the Gene Siskel Film Center will hold a complete retrospective of the films of my favorite director of all time, the French master Robert Bresson. In anticipation of this happy event, I am pleased to present an interview with London-based filmmaker and teacher Jonathan Hourigan, who worked on the crew of L’argent, Bresson’s great final film. Jonathan is a graduate of Oxford University and the National Film and Television School. His own short and feature-length films have played to acclaim at festivals around the world. In addition to his work as a filmmaker and teacher, he continues to be involved in preserving Bresson’s legacy. Jonathan and I became acquainted when he contacted me after reading a post on this blog about Bresson’s Notes on the Cinematographer. MGS: You were responsible for organizing a Bresson retrospective in London in 1981 before you ever met and worked with the man. How did you first discover his films and do you remember what your first impressions were? JH: At 18 or 19, during the year between school and university, my interest in photography began to be superceded by an interest in cinema. I was living in Worthing at the time, a seaside town on the south coast of England and that year I saw Altman’s A Wedding and both The Deer Hunter and Apocalypse Now in the cinema. I also saw Victor Erice’s magnificent Spirit of the Beehive in 16mm, projected onto a white sheet at the West Sussex College of Art and Design, where my uncle was teaching. It was Erice’s film which kindled in me the initial desire to make films but there were, at that time, very few opportunities to see other films of this kind. So I began reading books about the cinema and that’s how I came across Bresson, first through articles by Andre Bazin, Roy Armes and Gavin Lambert. Something about his formal concerns attracted me I think. And then, in my first term at university, I saw Au hasard Balthazar at the University Film Society. I was transfixed and still think it’s one of Bresson’s most seductive films, despite its very tough narrative. Soon afterwards I discovered that Une femme douce was being screened in London and so I went to London to see that film. It’s been a source of long-term regret that Une femme douce is not more widely available and better known, as I think it one of Bresson’s most expressive films and a particular favourite of mine. It was a big influence on my own first film. And with these two films, Au hasard Balthazar and Une femme douce, my love for Bresson’s films was secured. I was drawn consciously, I think, to Bresson’s impeccable, austere aesthetic. But I can also see, in retrospect, that the Catholic and redemptive themes and inflection of his narratives must at least sub-consciously have attracted me, having been brought up Catholic, even if lapsed by that time. I organised the retrospective primarily so that I could see the remaining films. Actually, I did meet Bresson whilst preparing the retrospective. I visited him in Paris in, I think, the Spring of 1981 and I wrote both about the films (some of them, I now confess, unseen by me at the time!) and the meeting with Bresson in Paris in an early edition of Stills magazine. MGS: Unlike Paul Schrader, I actually think Bresson’s movies got better over time, or at least the end results seemed to correspond more closely to what he was trying to achieve. (I’m thinking particularly of the way they became increasingly minimalist, with the last few movies featuring only diegetic music.) Of course, neither Bresson nor you could have been aware that L’argent would be his final movie but I think it does feel, appropriately, like a last testament. Were you aware while working on it that it would be a special film even within his extraordinary body of work? JH: First of all, the later films certainly seem more austere, more closely corresponding to some of the rigours explored in Bresson’s Notes on the Cinematographer, among them the exclusive use of diegetic sound but also including, for example, the use of a single standard lens, non-professional ‘models’ and the creation of flattened images. 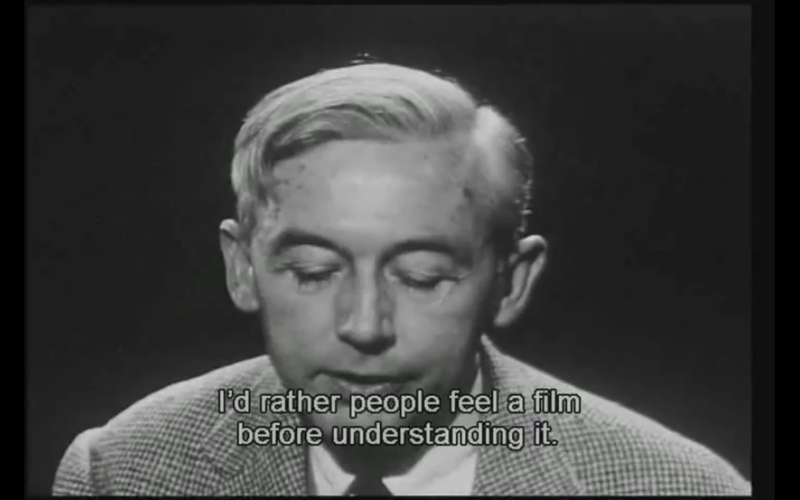 But secondly, these elements, on their own, aren’t the summation of what Bresson was ‘trying to achieve’. Bresson contrasted his notion of Cinematography with conventional Cinema, with the latter indebted to theatrical traditions and methods. What, I think, Bresson pursued, in short, was what one might call a documentary of emotions, with the mechanical means of apprehension – camera and tape recorder – capable of capturing models’ authentic, unconscious states of soul. Hence, to some extent, the non-professional models and the numerous takes for which Bresson was renowned. And these fragments, captured in flattened and uninflected images, are then given structure and meaning – for Bresson, are transformed – through a rhythmic editing strategy and of course, with the creation of a resonant soundtrack – Bresson’s approach to sound, as you’ll know, is unique and noted by many commentators. This is all complex, subtle and far from self-evident stuff – and I’m only scratching the surface here – but one does not have to accept all of it in order to find Bresson’s films uniquely expressive. However, much of this territory is explored and clarified in Bresson’s short, aphoristic Notes on the Cinematographer which is, along with the films, a crucial source for those interested in Bresson’s films and his approach to filmmaking. As to the improving quality of Bresson’s oeuvre, well, that strikes me as a third issue. There are certainly fierce debates around this issue, with Schrader and others suggesting a mid-career pinnacle, with the later films perhaps losing the redemptive or transcendental aspect of the earlier films. The shift to darker territory – Bresson might have said more “lucid” territory – does not alienate me, or, in and of itself, suggest a tailing off in the quality of the films. Leaving aside L’argent, which I will come to, Une Femme Douce and Lancelot du Lac, in particular, amongst the ‘later films’, seem to me to be masterpieces. 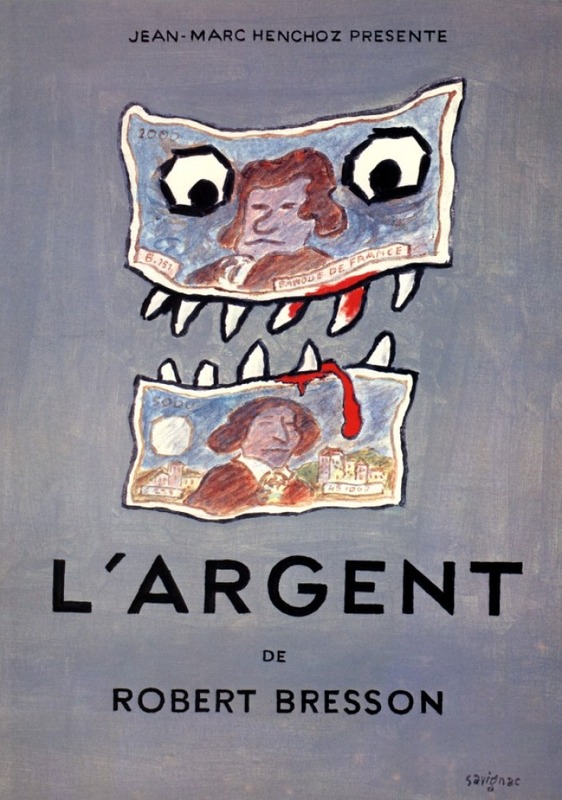 As for L’argent, for me it was my first experience of being involved in a film’s production and so quite hard to assess. But I was aware that it was a difficult film to make, with tight production parameters. Equally, viewing rushes and edited sequences suggested something very special, to my eyes and ears at least, from very early on and soon after the completion of Principal Photography, a first cut was screened which was already powerful and compelling. And the film only became tighter and sharper as post production continued. I suspect that making a relatively small number of films in a long career ensures that each and every one of them feels ‘special’, at least at the time. On the other hand, at the time Bresson was hoping – even expecting – to make his long-cherished film Genesis in the near future and so there was no sense, in 82/83, of L’argent being his “last testament”. In addition to which, the film’s reception at Cannes in 1983 was less than fulsome. Looking at L’Argent now, however, the film inevitably takes on the aspect of “last testament” and it’s certainly a remarkable and profound film, worthy of assuming that role. 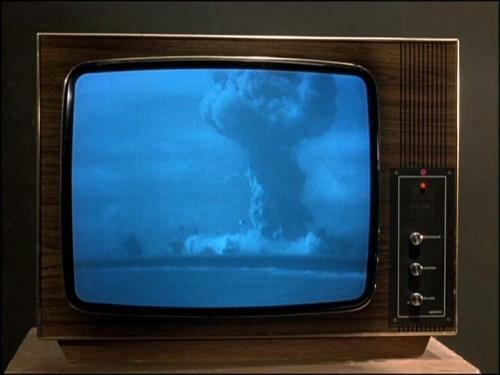 It is passionate, prescient, humane and quite simply, a truly great film. And after all, it’s not for nothing that it was the “Top Film of the 1980’s” in one of your own recent lists. There are any number of wonderful moments and sequences in the film but I’ve always been particularly fascinated by the film’s remarkable and ambiguous final shot, the crowd still looking into the cafe, although Yvon, flanked by police officers, has passed through the crowd and been taken away. It’s such a resonant image, so perfectly drawing together the thematic threads of this extraordinary film and perhaps, even, of Bresson’s entire oeuvre. MGS: One aspect of L’argent that really sets it apart from Bresson’s previous work is the presence of Christian Patey as Yvon. When I think of Bresson’s male “models,” I think of them as typically being physically graceful, slightly feminine and possessed of a soulful, almost ethereal, beauty. Patey really bucks this trend and brings a masculine energy to the part, coming across almost like a monster at times. Why do you think Bresson chose to cast him? JH: Christian Patey is certainly striking in L’argent and he has a powerful physical presence. 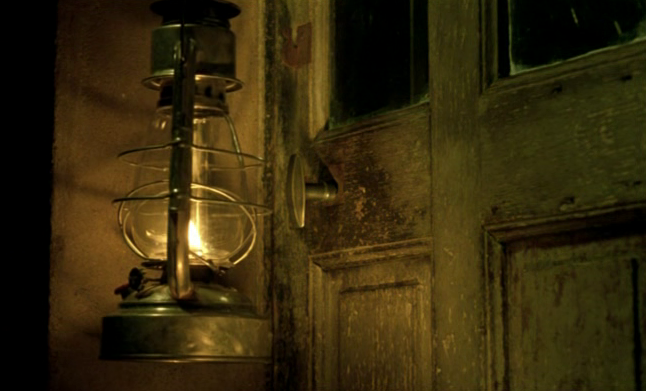 His weight – physical and moral – is palpable throughout the film. But I wonder if he is really so different from Bresson’s other male models. Or, rather, I wonder if they are quite so homogenous as you suggest. I suspect that the ‘typical’ Bressonian male ‘model’ might be Claude Laydu as the Curé d’Ambricourt in Journal d’un curé de campagne, or Martin LaSalle as the eponymous Pickpocket, perhaps even Francois Leterrier as Fontaine in Un condamné à mort s’est échappé. But even these three are somewhat different from one another. Graceful, yes. Soulful, yes, although in some cases only belatedly. Slightly feminine? Well, perhaps Laydu. LaSalle, by contrast, is almost feral – or perhaps feline and thus feminine? – for much of Pickpocket, whilst Leterrier has masculine – even martial – honour and conviction throughout. Antoine Monnier as Charles in Le diable probablement and Guillaume de Forets as Jacques in Quatre nuits d’un rêveur both have a certain feminine beauty but at the very least, it seems to me that there’s no single dominant type for Bresson’s male ‘models’. I can certainly see some of Christian Patey’s sturdy masculinity in Luc Simon as the eponymous Lancelot du Lac and not simply because of Lancelot’s encasement in armour. There is physical and moral weight – flawed and burdensome – in Simon’s Lancelot, just as there is in Patey’s Yvon. Why did Bresson choose Christain Patey? I don’t know. Intuition I suspect. Certainly it was inspired casting, as was Vincent Risterucci as Lucien, the thorn in Yvon’s side. And also Caroline Lang as Yvon’s wife Elise, Marc Ernest Fourneau as Norbert and Bruno Lapeyre as Martial, the young, bourgeois Parisian students, as well as Sylvie Van den Elsen and Michel Briguet as the woman and her father in the country. It is, almost throughout, a brilliantly ‘cast’ film, with the vibrant and differentiated presences of Bresson’s ‘models’ so luminous. It’s one of the things that really stands out about L’argent. MGS: Funny, I was thinking of Leterrier specifically when I used the word “feminine” because of his slight physical stature and manual dexterity. I also think it’s significant that he describes making ropes based on memories of watching his mother braid his sister’s hair.